We take a look at the inspirational stories behind some of the most famous black men and women in the world. 1. Jay Z went from rags to riches. Legendary rapper and music mogul Jay Z grew up in one of the roughest areas in New York City - the Marcy Projects. However he used his negative surroundings to inspire his success. 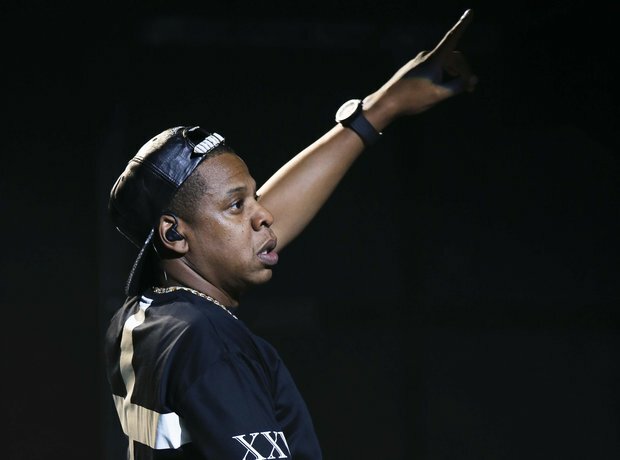 Now, with an estimated fortune of $560m, Jay Z continues to innovate and attempt to elevate Hip-Hop culture. 2. Rihanna chose music to escape. 3. Oprah Winfrey turned her life around. Iconic businesswoman Oprah Winfrey spent the first six years of her life in poverty while living with her grandmother. According to a 2005 report on theguardian.com, Oprah used to wear “overalls made from potato sacks” that earned her the title ‘Sack Girl’. However despite a lack of finances, Oprah remained positive and eventually transformed herself into a billionaire. 5. Beyonce rose to the top. Beyonce began her career competing in a number of local talent shows - impressing with her natural singing and dancing abilities. She then teamed up with her cousin Kelly Rowland and two classmates to form one of the greatest all-female groups of all time, Destiny's Child. After huge success with the band, Bey decided to go solo and has become a worldwide figure for female empowerment. She now has an estimated worth of $250m. 7. Halle Berry wasn't held back by being homeless. Halle Berry moved to Chicago at a young age to pursue her dreams of acting. However after she quickly ran out of money, her mother decided not to top up her daughter's finances and Berry was forced to stay in a homeless shelter. In an interview with Star Pulse, she said: "It taught me how to take care of myself and that I could live through any situation, even if it meant going to a shelter for a small stint, or living within my means, which were meagre." 8. P Diddy went from intern to CEO. Legendary rapper and music mogul Puff Daddy grew up in a poor housing projects in Harlem with his mother. According to reports, his father was involved in drug-related activity and was murdered at 33-years-old. However despite his underprivileged background, Diddy always had a passion for business and transformed his dreams into a reality - eventually elevating from an intern to a CEO. 9. Nicki Minaj overcame obstacles. 10. Snoop Dogg went from negative to positive. The iconic West Coast rapper grew up very poor and was in a gang selling drugs before he was spotted by Dr Dre. However Snoop focussed on his musical talents and eventually left his negative lifestyle behind, to pursue his ambitions of being a rapper. He now has an estimated fortune of $143m and continues to do work with underprivileged black communities in the US. 11. Mary J. Blige nurtured her talent. According to reports, Mary J. Blige endured a childhood scarred with violence, alcohol and drugs before dropping out of high school at a young age. However despite her negative surroundings, she stuck to her passion of singing and eventually became one of the biggest female R&B singers of all time. 12. Eazy-E of NWA went from gangster to music exec. 13. Fetty Wap discovered instant success. 14. Tyra Banks broke down barriers. 15. Dr Dre overcame the streets of Compton. After a rough upbringing in the streets of Compton, Dre utilised his passion for music to get himself out of a negative environment. His first big break came with the success of NWA and he never looked back - cofounding Death Row Records, creating record label Aftermath and being responsible for a number of the biggest acts in Hip-Hop. He was also involved in one of the biggest deals in music industry history, selling Beats to Apple for a reported $3bn. 16. Kanye West went from college dropout to the most influential.